In Dhillukku Dhuddu 2, Santhanam employs his usual algorithm for massy humour: that of likening characters’ traits to elements in pop culture and other mundane things from everyday life – sometimes to good comic effect. This works to an extent when Santhanam decides to stays benign, and also when the subject he chooses to make fun of has a certain gravitas about themselves – strong and secure enough to laugh at or along with because you do know that no gibe – even when not high brow – would diminish their worth. They are, after all, part of a larger scheme of things in the film: that of using their brand value to propel an actor who has aspirations beyond the realm of comedy. Urvashi is one such actress who is present in the film not because it needs the kind of easy humour that she’s loved for, but to amp up the lead, and let him make the wisecracks. Santhanam knows this; he knows he can’t quite toy around with Urvashi much and so, she’s treated with a certain dignity that is not accorded to the others. Sometimes, the joke is on her – he treads with caution here – and during others, it is on the rest of the cast including Rajendran who receives Santhanam’s verbal punches with ease, and the rare generosity of spirit that we’ve come to associate with comedians in Tamil cinema. As is with such scripts that seek to make a hero out of its lead, none of them get to throw it back at Santhanam. Rajendran, who plays his uncle in DD2, is trampled on the most while other supporting characters are dealt with in a similar fashion. This rankles a little because Rajendran, though much sought-after for brief comic roles these days, certainly doesn’t match the popularity of Santhanam. 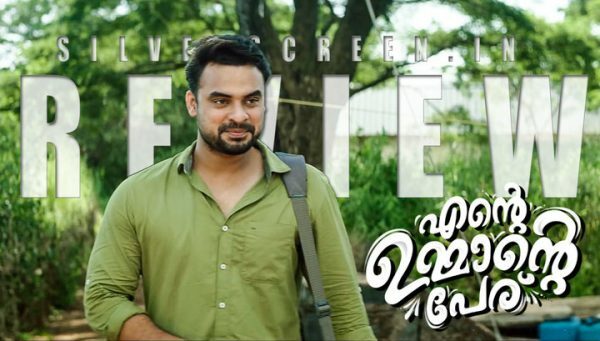 That way, last week’s Vandha Raajavathaan Varuven had a few brief moments of respite – and even surprise – when Silambarasan allowed a few gibes at himself. And contrary to what filmmakers – and actors think – those displays of … on-screen modesty(?) only reinforced the image that the script was trying to construct in VRV, even if the actor himself felt uncertain about his stardom outside of it. Perhaps it’s thanks to Sundar C the script-writer and director. We may never know, but DD2, which is helmed by Rambala who had been at the forefront of the first film as well, is single-minded in its quest to prop up Santhanam as a hero to whom throwing a punch and wooing a woman come as effortlessly as outwitting supernatural entities. The entities take a beating too, and during a funny instance, Santhanam spoofs on a popular advertisement in the face of horror. When he stays in this territory, Santhanam is as good a comedian as any – his worth measured by the anticipatory laughs that his mere presence in a frame evokes. 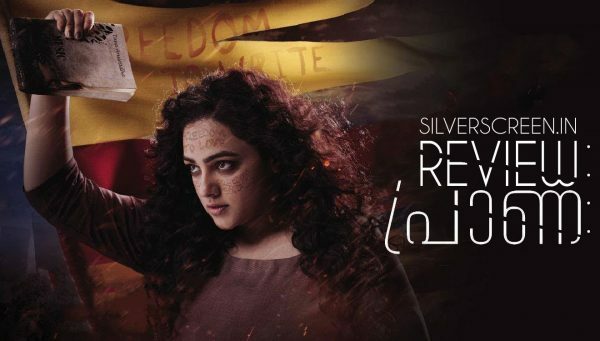 But for the most part, DD2, which is not very dissimilar to the first film – Santhanam finds his romance thwarted by a supernatural something – revels in taking the stick to almost everyone around its lead. Of course, it raises laughs – the theatre already having been groomed to the humour – but not quite tasteful. To actor-comedians like Rajendran and Yogi Babu though, who may or may not have been able to exercise choice about their representations on screen, you can’t help but wonder if stating the obvious – instead of perhaps subtly calling for and influencing a shift towards sensitive filmmaking – would render them feeling more dis-empowered than they already are. 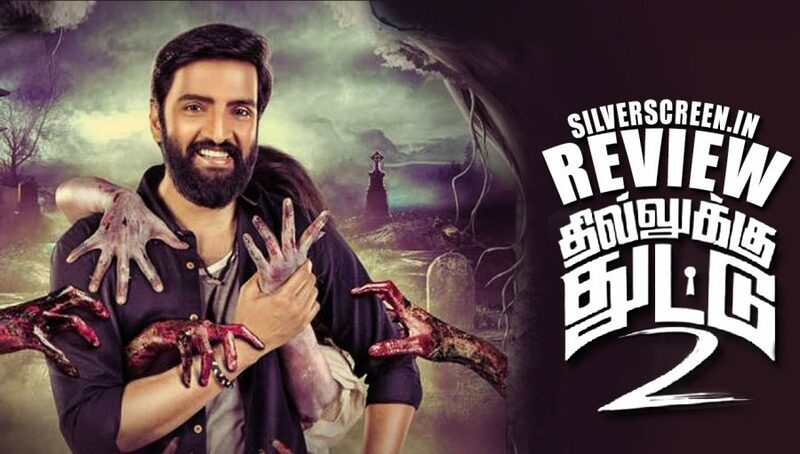 The Dhillukku Dhuddu 2 review is a Silverscreen original article. It was not paid for or commissioned by anyone associated with the movie. Silverscreen.in and its writers do not have any commercial relationship with movies that are reviewed on the site.